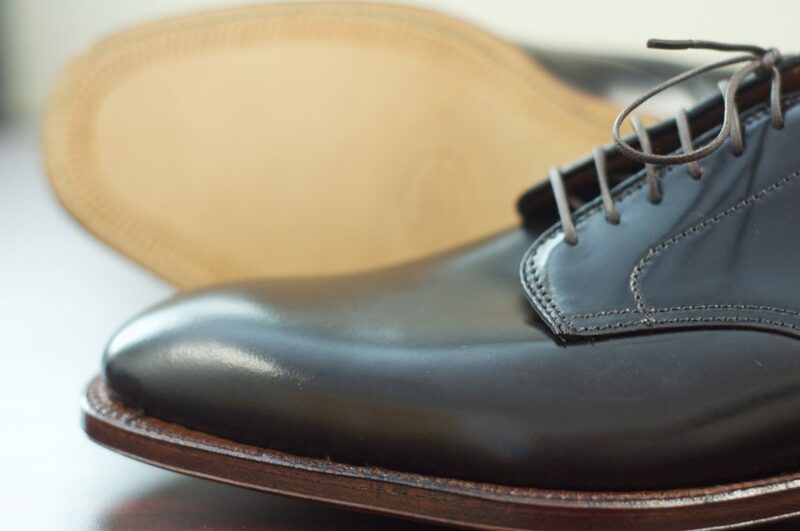 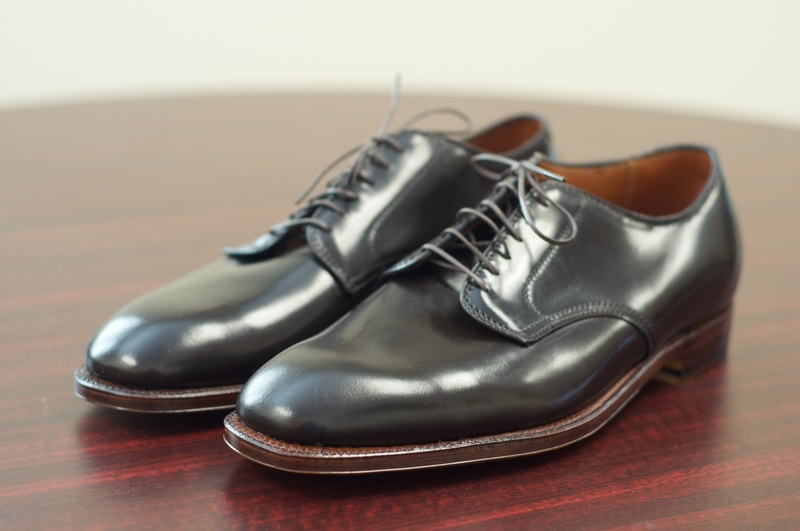 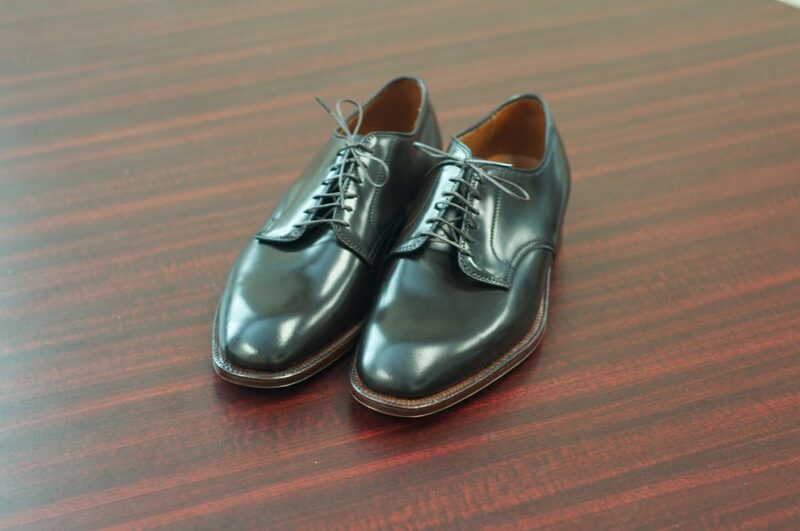 The Plain Toe Blucher (PTB) is about as classic of a shoe as one can find. 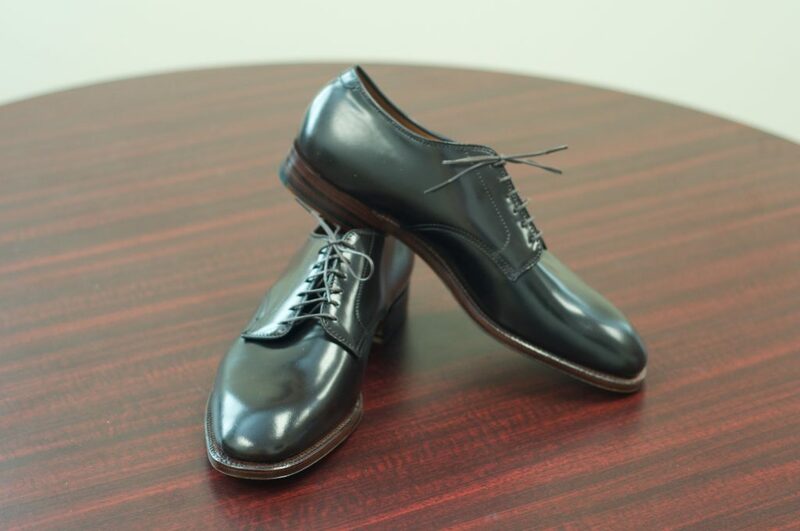 It is simple, clean and very dynamic. 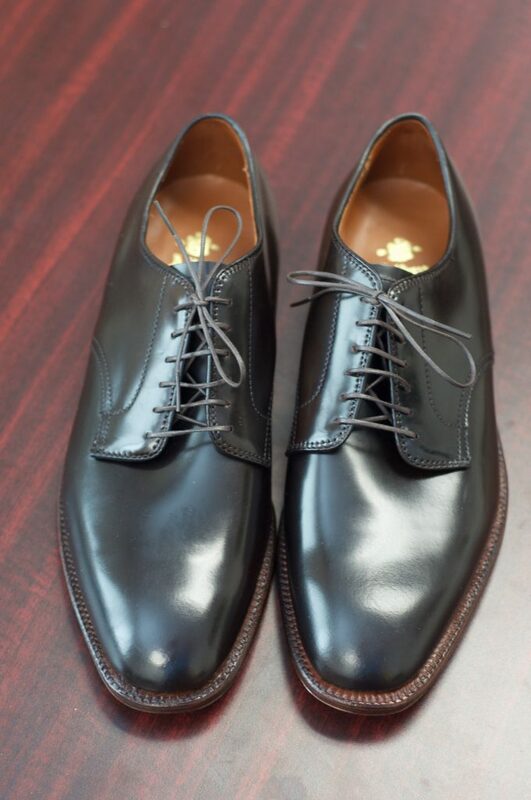 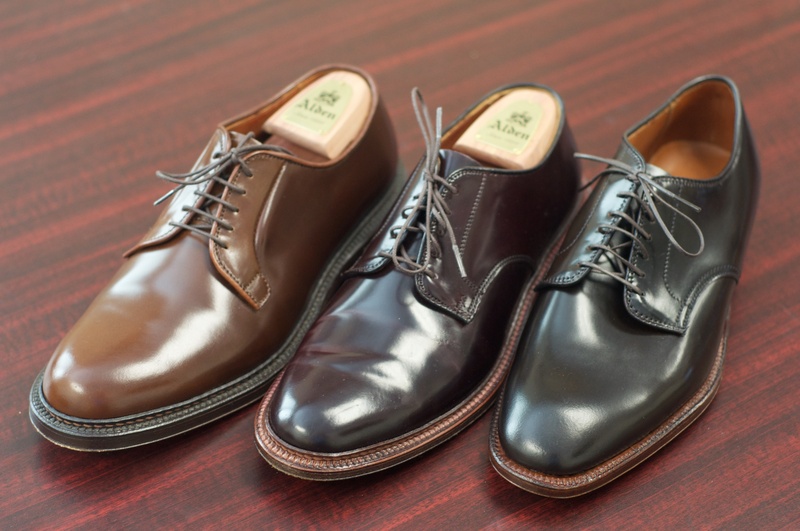 Alden’s actually offer’s two different types of Plain Toe Bluchers, the “Wholecut” and the “Dover”. 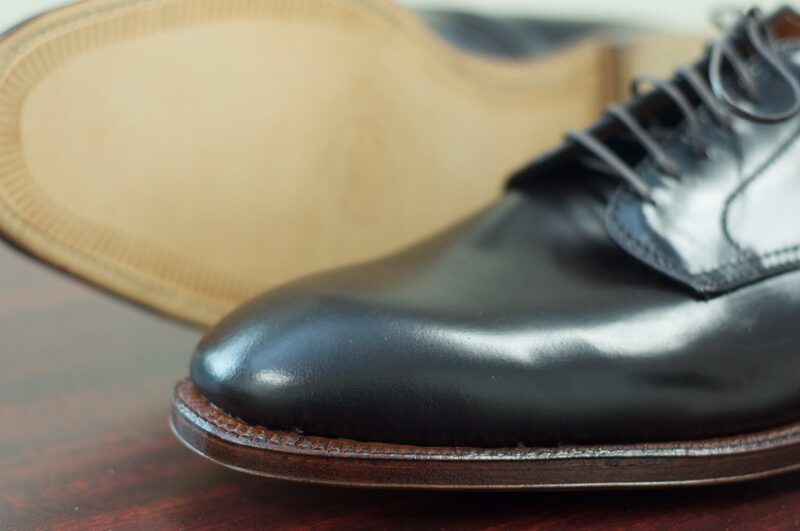 The Wholecut, as it sounds, is made of essentially one piece of Shell Cordovan that has a single seam in the back (other than the eyestays). 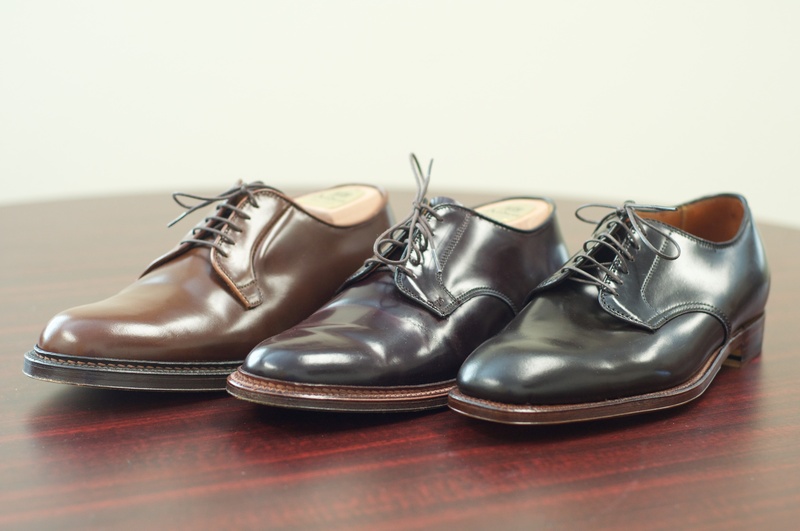 The Dover is made out of three pieces (front/toe, inside, and outside), breaking at the eyestays and the back of the shoe. Typically, when one refers to an Alden PTB, particularly for Shell Cordovan, they are referring to the Wholecut. 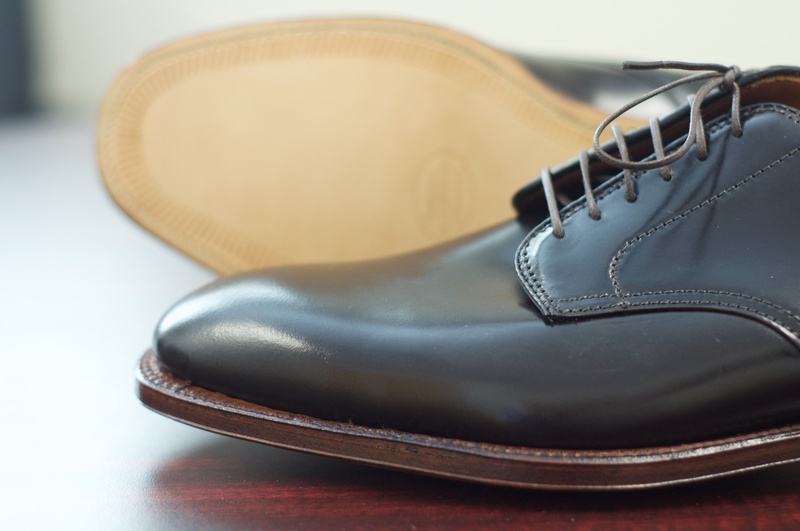 The Dover is typically only used for the Unlined models, such as the Suede PTBs, which require the additional support afforded by having more seams and structural integrity. 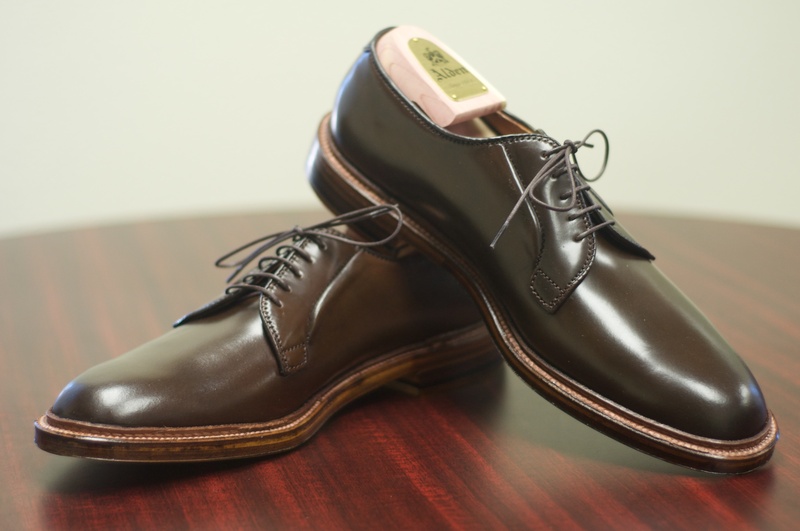 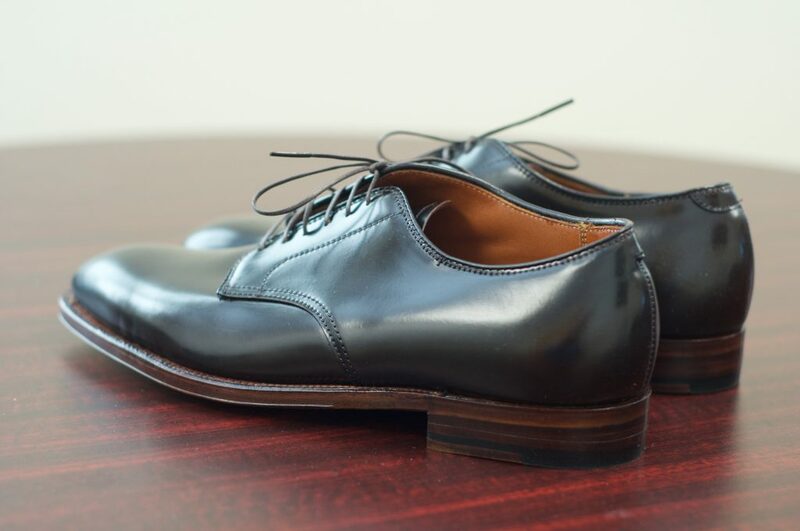 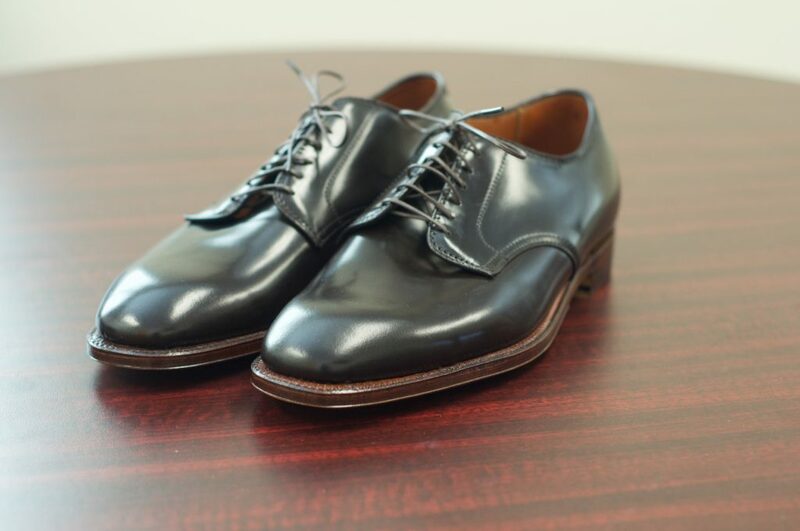 These Cigar Shell Cordovan Plain Toe Bluchers are a special version of the Cigar PTB, as they are of the Dover variant and were offered by Harrison Ltd. Additionally, they feature the unique beauty of the Plaza Last. They have lovely Tan “Antique” Edges with a flat welt line that go 270 degrees around the shoes. 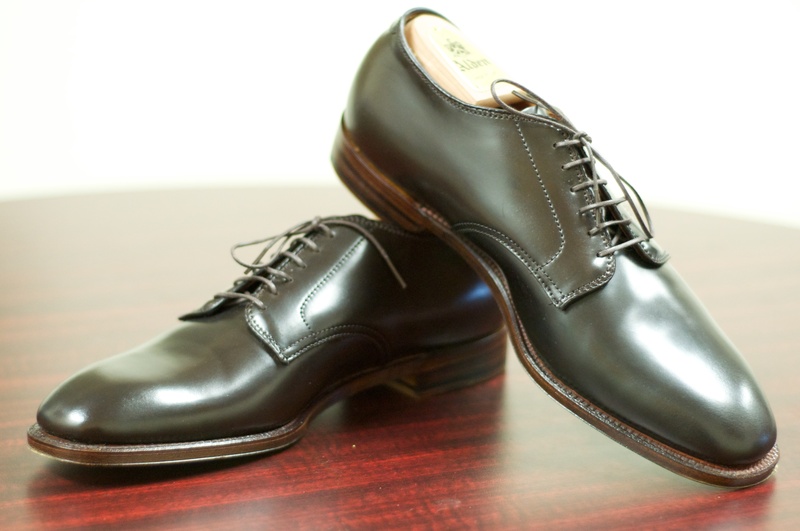 These Cigar Shell Cordovan PTBs are special and aren’t your run of the mill PTBs. 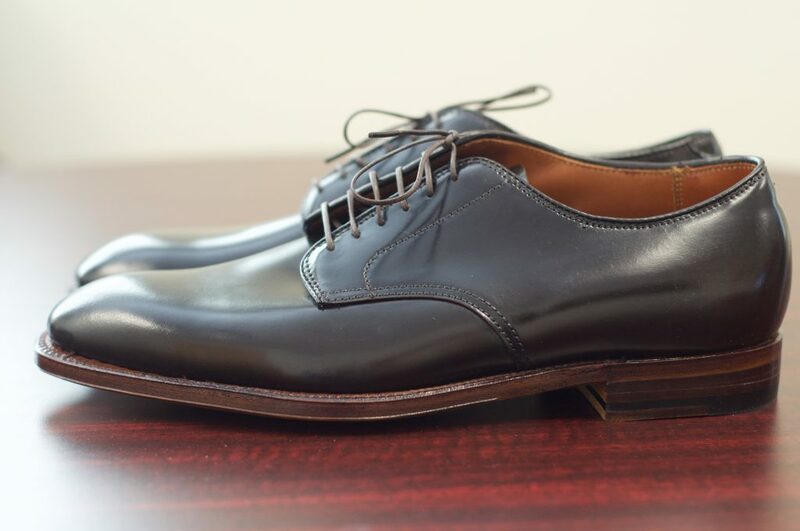 Below are two comparison shots with a traditional Ravello PTB on the Barrie, an Unlined Color 8 Dover PTB on the Barrie, and this Cigar Dover PTB on the Plaza.